Millions of dollars have been put on the research and development of hair loss treatments for years. Hair loss creates a problem for both men and women because the one who is suffering from hair loss has less confidence, can have stress that can be result in depression in extreme circumstances according to the studies. 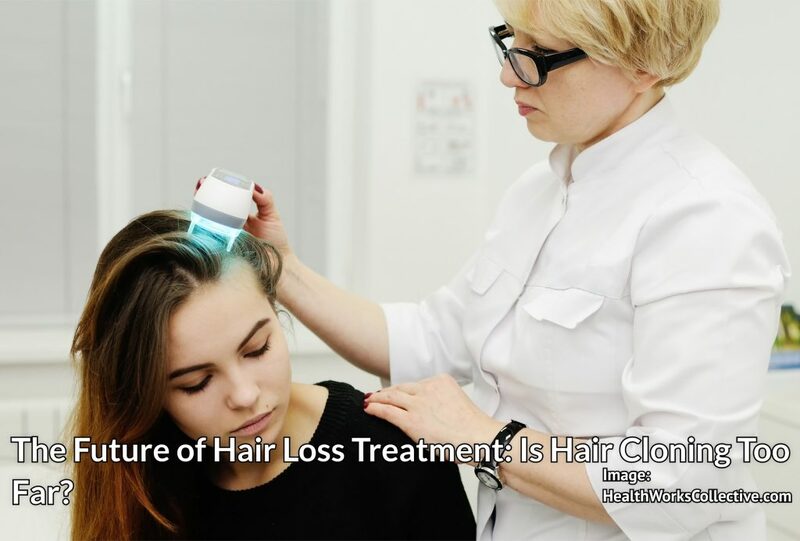 The annual value of the hair loss treatment market worldwide is estimated around $3.5 billion in 2015 according to the Washington Post, with $2.5 billion of this spent on surgical procedures according to the International Society of Hair Restoration Surgery. Nowadays methods such as Follicular Unit Extraction Hair Transplantation is the most popular hair loss treatment to overcome hair loss problem. The results of FUE Hair Transplantation are quite satisfactory if it is performed by experienced surgeons. Yet the success of FUE Hair Transplantation is limited to the donor area availability where the hair follicles are extracted. For the men who have limited donor area and large balding scalp, hair transplantation does not the give the desired result. Some patients with limited donor area and large balding scalp ask the question of if there is a way to get hair follicles from someone else by pointing out their accompanied lucky friend with a lot of hair on his head at the consultation. The surgeon’s answer is not yet. Are these patients asking a sound and rationale question? From Japan to USA many researchers are working on new methods for hair loss treatment for decades. The most popular one among all of these is Hair Cloning. Hair cloning is based on to clone the healthy hair follicle cells(dermal papilla cells) by a variety of culturing methods in a laboratory environment and re-implanting them to the receding and balding parts of the scalp so that new hair follicles will grow and produce permanent hair. In this method, hair follicle cells are cloned in vitro which means they are multiplied outside of the body. The logic behind hair cloning is to harvest a small amount of hair follicular units with FUE method. Since there is a small amount of extraction, patient can go immediately to the normal routine. Cryopreservation process will be applied to the harvested follicular units and they will be stored in a legal tissue bank until needed in the future. Where the tissue bank is depending on the regulations of the country since in some countries such as United States current federal laws prevent any cloning. The follicular units in the bank will be processed to isolate dermal papilla cells from hair follicles. Then, dermal papilla cells will be multiplied over 3-4 weeks. The final stage is to implant the cloned hair cells into patient’s scalp. The follicular units in the bank can be used in the future if the patient needs more procedure. That means there will be no need again for extraction of the hair follicle cells. Nowadays hair cloning is not a widely known treatment for hair loss but it’sin the R&D phase. The technology requires a lot of investment and high operational expenditures. Good news is that allR&D firmsin charge of hair loss treatment are racing to start the hair cloning for hair loss treatment. RepliCel’s RCH-01 treatment for pattern baldness;Kyocera, Riken and Organ Technologies for the regeneration of hair follicles; Samumedby activating Wnt pathway to grow hair for Androgenetic Alopecia (AGA) are among some of them that are in fierce competition to launch their product as a revolutionary hair loss treatment. Although hair cloning method has a prospective future for hair loss treatment, the cloned hair will still need to be transplanted and there will be a need for surgeons. Clinical researches are getting faster for hair cloning but the experts say that it does not seem to be effective within the next 10 years. It seems that FUE Hair Transplantation will stay among the one of the safest and effective hair loss treatment and will keep its popularity. Besides the cost of FUE Hair Transplantation is quite affordable and popular in some destinations such as Turkey. One of the reputable clinic, MCAN Health is providing hair transplantation with the newest technologies to its patients coming from all over the world. MCAN Health is following the new developments very closely and prepare itself being available in clinical trials of hair cloning.